480-456-8888 | Learn What It Means To Hire CAM Control! At CAM Solutions, We Promise To Always Place The Needs And Expectations Of Each Of Our Customers In The Highest Regard. Our First Objective Is To Convey A Passion For The Customer And To Consistently Deliver The Best Service Experience. The Service Experience Of Each Customer Along With Our High Standards Together Form The Most Vital Components Of Our Organization As This Reflects Directly On Our Reputation. CAM Solutions Believes That Delivering The Best In Customer Satisfaction Is Evident In Our Timely, Responsive, Round-The-Clock Service Delivered With Integrity, Simplicity, And A Commitment To Excellence That Is Second To None In Meeting And Exceeding Each Customer’s Expectations. 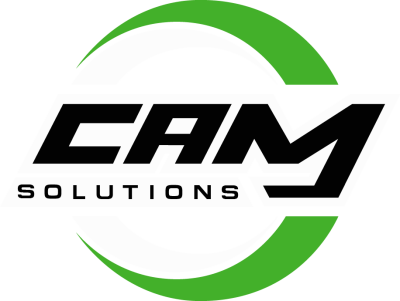 Since Our Inception In 1998, CAM Solutions Has Prided Itself On Being An Leader Centered On Professional Customer Service With A Personal Touch. Our Customers Will Never Get The Runaround In The Quest For Quality Customer Service As We Have No Middlemen. Our Customers Deal With The Company Owners And Operators, Not An Outsourced Service. ​​CAM Solution's Overall Quality Objective Is To Ensure That We Are Consistent In Our Delivery Of The Highest Level Of Service Throughout The Industry. We Educate And Train Our People To Support The Delivery Of High Quality Services. At CAM Solutions, We Are Committed To The Promise Of Quality Service We Give To Our Customers Through Current Techniques & Technology. We Show Our Commitment Through Establishing Various Means For Continuous Improvement Which Includes The Implementation Of Appropriate Industry-Specific Quality Management Systems And Processes. These Improvements Enable Us To Continue To Deliver The Highest Quality Service Throughout Our Industry. We Feel It Is Not Good Enough Just To Implement These Systems, But We Also Must Work With Our Customers And Partners To Develop Our Services To Meet Their Needs. With CAM Solutions, We Promise To Conduct Our Business In A Way That Reflects Our Core Values. We Work Hard To Create An Environment That Promotes Continuous Improvement And Knowledge Sharing Across All Stakeholders And Consistently Ensure Compliance With Legal And Other Applicable Standards. ​​Employee Training And Development Is Of Vast Importance At CAM Solutions. Our Employees Are Our Number One Resource And The “Voice” Of Our Organization. Only When Our Employees Are Fully Developed Can Our Business Truly Reach The Goals We Have Set To Achieve. CAM Solutions Success Is A Direct Result Of Our Highly Skilled, Hard-Working, And Honest Individuals. Our Employees Are Continuously Trained, Supervised, And Supported By A System Of Quality Control Audits. At CAM Solutions, We Understand The Importance Of Clear And Open Communication With Our Employees And With The Businesses We Serve. Teach: Show How It Is Done. Coach: Stand Back And Direct. Motivate: Provide Positive And Constructive Feedback. Our Employees Are Required To Complete Extensive Tutorials And Must Pass Proficiency Examinations Before Moving On To Working In The Field Where They Are Videoed Demonstrating Their Skills – All Of This To Ensure Our Customers Will Have Complete Confidence When They Put Their Trust In CAM Solutions. CAM Solutions Believes In The Importance Of Educating All Of Our Employees To The Highest Standards In Work Safety. Therefore, All Of Our Field Employees Are Subjected To Rigorous In-House Training Courses. The Successful Completion Of Subsequent Proficiency Examinations Is Required Of All Of Our Field Technicians Before They Can Enter The Field. Under Strict Supervision, Field Technicians Are Next Videoed Demonstrating Their Knowledge Of All Equipment To Be Used In Their Employment, And They Are Also Required To Describe All Applicable PPE And How It All Is To Be Used. Our Training Practices Are Continually Updated On An Annual/Semi-Annual Basis. The CAM Solutions Work Environment Is Based On Teamwork Coupled With A Positive Atmosphere. We Believe It Is Evident That Our Employees Take Pride In A Job Well Done. All Of Our Personnel Are Professionally Outfitted To Alert Customers Of CAM Solutions Presence On Their Property. The Uniforms Worn By Our Employees Match The Design On Our Service Trucks For Ease Of Identification For Your Tenants And Their Customers When Your Property Is Being Serviced. ​​CAM Solutions Is Easy To Recognize When Servicing Your Property As We Provide Highly Visable Marked Vehicles. CAM Solutions Also Employs In-House Mechanics To Ensure That Our Vehicles And Our Equipment Are All In Excellent Working Condition Which, In Turn, Reduces Service Delays And Keeps Us On Schedule.